Any time Bruges comes up in conversation, people respond with one of two comments: “I would love to visit one day” or “the city is like a fairytale.” Living in Amsterdam, Bruges is relatively close, about 270 kilometers (170 miles) away. For the longest time I heard all these positive remarks and longed to go, yet hadn’t planned time to make the trip. When some good friends of ours moved to the quaint Belgian city, there couldn’t have been a bigger bright neon sign pointing us in the direction of Bruges. For me, Bruges was love at first sight. Walking through the small UNESCO heritage city center, every house, storefront and canal commanded my attention. The architecture astounded me, considering the age of the buildings and slight variation in stature and color. The cobblestone streets, elegant yet worn, welcomed my explorations and my nose savored the sweet smell of chocolate emanating from the shops. 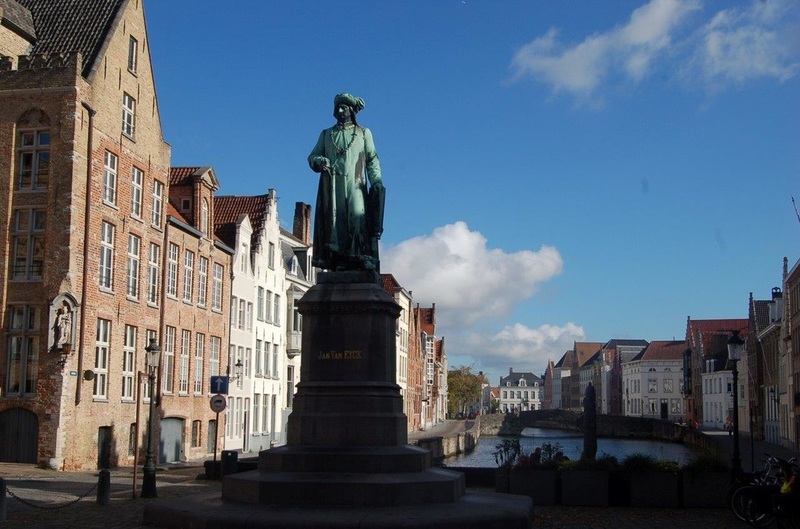 From the main market square and the serene Begijnhof to the canal near Jan van Eyck square, the city is rich with history and heritage. Every corner promised another postcard-perfect picture. Belgium is known for its chocolate, waffles, mussels, and beer, and naturally, as we’re always eager to try new and local flavors, we wanted to take full of advantage of the country’s offerings. De Halve Maan, the city’s only remaining brewery, is famous for its beer Brugse Zot. Having tried it before in the Netherlands, we wanted to visit the site where it’s made. 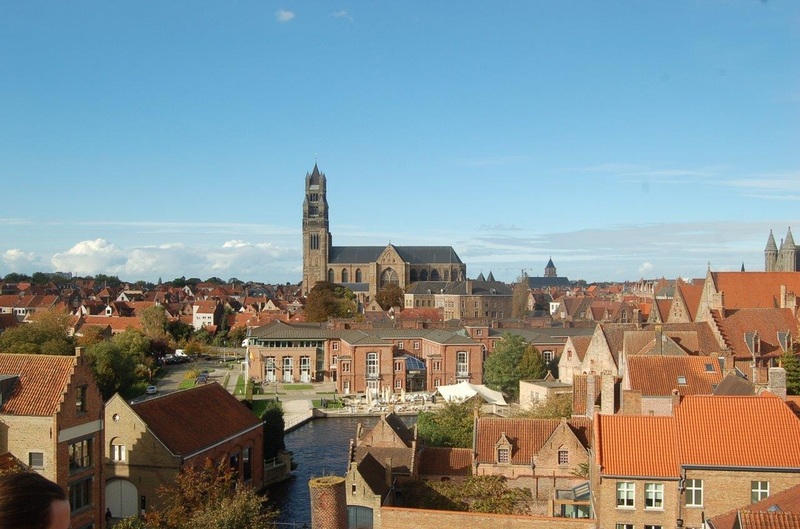 The tour, available daily in Dutch, English and French, provides information about the brewing process and the company history, as well as a nice view of the city. One beer, served at the end of the visit, is included in the price. The tavern is cozy, complete with a comfortable couch next to the warm fireplace in the winter months. A sunny courtyard terrace is also available for those who prefer to drink the refreshing beverage outdoors. The evening meal called for mussels, and in the end per a recommendation of our friends, we dined at Keizer Karel on the Grote Markt. All of us went for the mollusks. The restaurant offers an assortment of preparations, such as white wine or garlic, and all are truly delicious options. Sitting upstairs near the window, we admired the magical, sparkling square in the night as we ate. No visit to Belgium is complete without a Belgian waffle. Chez Albert on the Breidelstraat near the Grote Markt serves some of the best in the city. Try the classic waffle with strawberries, or if you prefer with chocolate, caramel or cherries. A chocolate lover instead? You’ll find no shortage of chocolate shops in the city. One of the favorites is the family-owned Sukerbuyc establishment on the Katelijnestraat, famous for its hot chocolate. 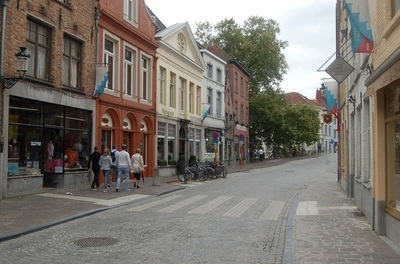 The shop, selling a variety of chocolates – white, milk and dark – is on one side of the street and their “De Proeverie” tasting room and café on the other. We now travel to Bruges a few times a year and one of our go-to places is Cambrinus, a Belgian restaurant and café situated on the Philipstockstraat. With 400 different beers available, there is truly something for everyone. The building dates back to 1699, boasting a scenic old exterior, while the interior is elegantly decorated with various beer paraphernalia and detailed stain glass lights dangling from the ceiling. The design embraces classic wooden elements, for instance in the sleek moldings, detailed bar and stools, and brass accents, adding to the overall atmosphere. If you’re going for dinner, a reservation is highly recommended. Year round, the city is beautiful. The summer is warm and sunny and even as the air gets cooler with the autumn season, the trees start changing, producing striking colors. 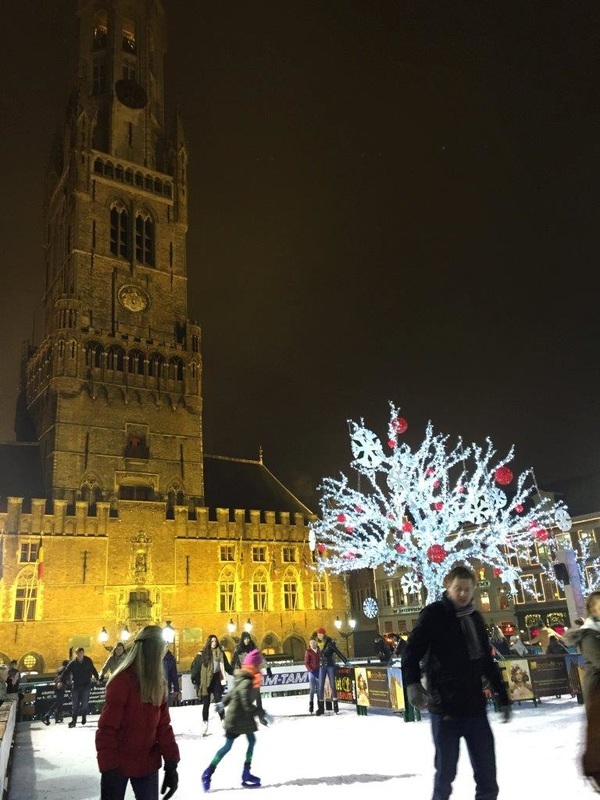 Additionally, this past November we strolled through the festive Christmas markets, sipping on glühwein and standing under the looming Belfry watching people ice skate. We stay at Suites 51, a luxurious Bed & Breakfast in a quiet area of the city center. Only a ten minute walk from the main square, the B&B provides a perfect base for a romantic getaway, families or groups. The house dates back to 1846, but the interior has been entirely renovated. Owners Katalin and Jan did a wonderful job with the design. The Gold Suite is a peaceful oasis, featuring a gold color theme, unique bamboo elements and grey pebbles lining the wall. The large terrace looks over the windmills. The Silver Suite has an elegant silver themed interior with royal blue accents. 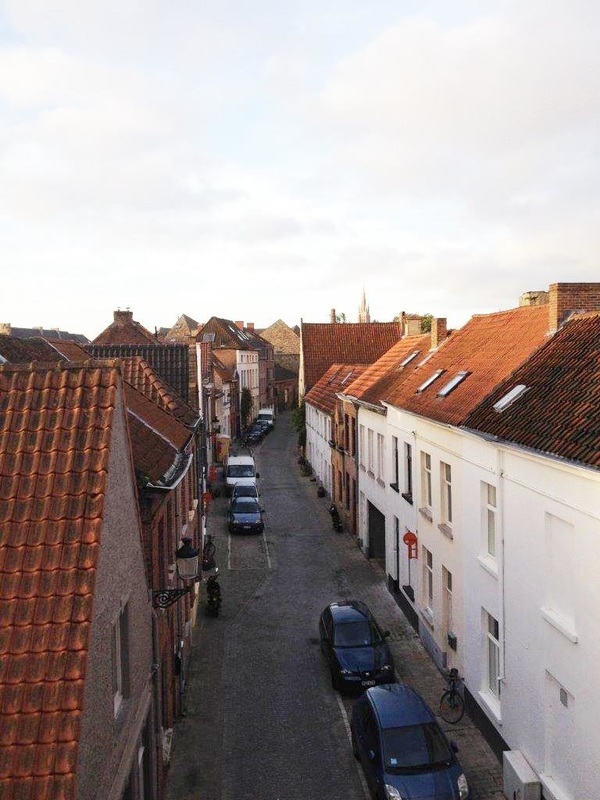 This rooftop suite is sunny and open, offering a great view of the Bruges skyline. Even after having visited so many times, I always discover something new. It might be a cute boutique store or a new beer, something we all know Belgium specializes in. We still want to climb the Belfry one day, a tower that requires 366 steps to reach a breathtaking panoramic view of the city. We will enjoy that on a future visit. 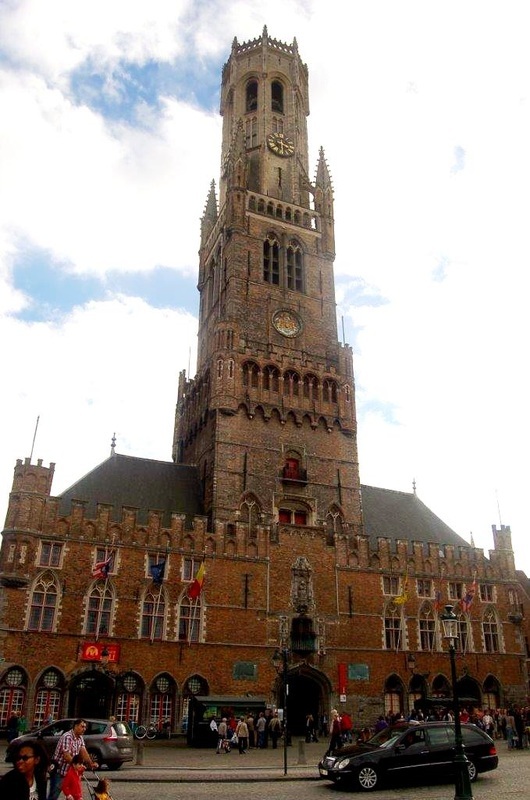 For us, Bruges is a nice weekend escape filled with charming sights, good beer, wonderful company, and great memories.